Distance education is now an integral part of offering courses in many institutions. With increasing access to the Internet, the importance of distance education will only grow. But, to date, the specific benefits that distance education brings to student learning objectives remain unclear. We first propose a framework that links student performance and satisfaction to the learning environment and course delivery. Next, we empirically evaluate our framework using data from a Business Statistics course that we offer in the traditional classroom setting and as a distance-education course. 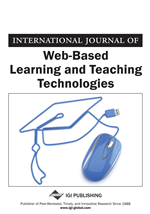 Our results show that a well-designed distance education course can lead to a high level of student satisfaction, but classroom-based students can achieve even higher satisfaction, if they also are given access to learning material on the Internet. This indicates that material for an effective distance-education course also can be used to supplement in-class teaching in order to increase satisfaction with student learning objectives.